The post comes on the back of a recent viral video online surrounding a sales lady promoting and demonstrating a top in a hilarious way. The saleslady, from online store Misshopper Boutique, shared a live video of a top designed with holes at the sides. In the video, she suggested that using a “S” hook, umbrella and even meals can be hooked on to the top. 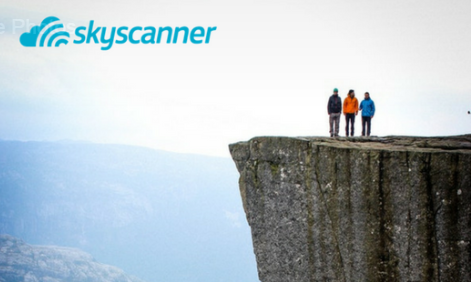 This is not the first time, Skyscanner has gotten a little cheeky in its marketing. Most recently, the comparisons website displayed a “travel hack” chart for Singaporeans who look to travel next year around the public holidays. Cheekily highlighted in green are days that travellers can take leave from work/school for their trip. The post also saw netizens being quick to tag friends and family members on its Facebook post while suggesting places of destinations. In turn, Skyscanner responded to those comments with GIFs and linking its “cheapest” offers to places such as Seoul and Bangkok. Other occasions where the brand got witty include a recent swipe at the exorbitant new iPhone prices. In a Facebook post, Skyscanner listed four flights that will take consumers on an “epic trip” across Germany, London and Iceland which will only cost consumers SG$1,443, cheaper than the new iPhone XS which is currently priced at SG$1,649. It also bantered with Scoot on several occasions, the most recent surrounding Cathay Pacific’s spelling gaffe. This saw the site taking it up a notch by referencing a running joke about Asians. The OOH campaign aimed to promote a new TV series..